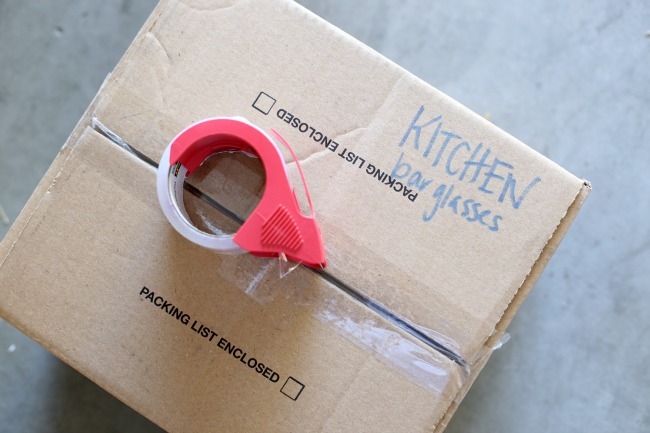 Make planning and executing your next move less painful with these Moving Tips and Tricks. Hi friends! Moving is NEVER fun. 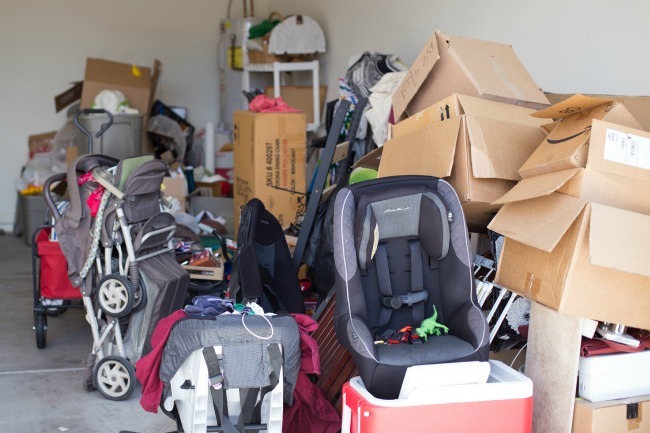 This summer we found a new house and while I was ecstatic about moving to our new neighborhood with an excellent school system, I dreaded packing and moving – while pregnant. 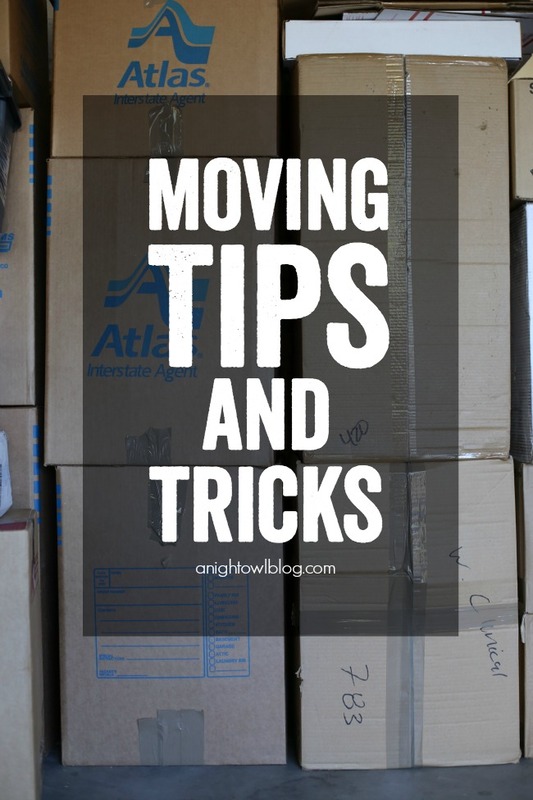 So this time I thought things through to make sure our move was the most efficient it could be and today, we’re sharing those tips with you and how we shopped our local True Value for supplies to make it all happen! The last thing you want to do is spend time (and money) packing and moving items that you no longer need or want. A few months ago we shared how we organized our garage with the help of True Value, which included a garage sale to kick things off. 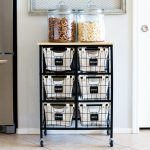 This not only helped with our garage organization project but we also knew that it would help tremendously once we were ready to move. It meant less boxes, less time packing AND since our garage was cleaned and organized, we were also able to use it as a hub for packing and storing once we began packing up the house! This is important. Before you begin you want to be sure you have everything you need right at your fingertips. This includes moving boxes, markers, packing tape, plastic storage bags, packing paper and our handy Dymo Label Maker. 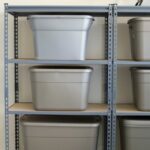 Also, these storage containers from True Value from our garage organization project were so handy and PERFECT for long term storage! Packing paper was also essential for packing up rooms like the kitchen! 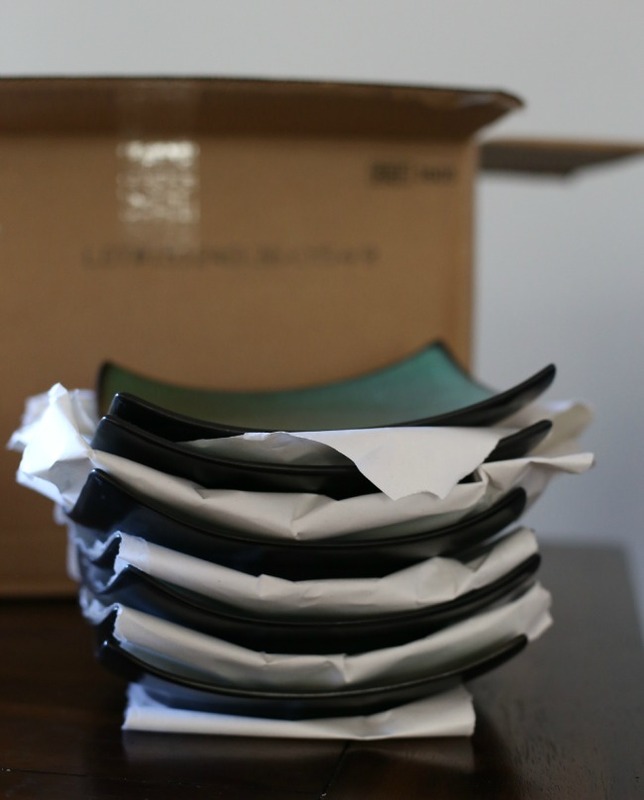 I found that paper towels were really handy for packing up glasses and stacking plates – cutting strips of post office paper worked perfectly to layer in between each one! You can never label too much. Break out those markers and label maker and get to work! For large boxes we had a two-label format: a label for where the items went in our NEW place (in all caps) and what was in the box (in lowercase) – i.e., “KITCHEN” and “bar glasses”. This was helpful not only for the movers but also for us to know what we wanted to unpack immediately and what could wait. My husband came up with a genius system for all those electronics too! 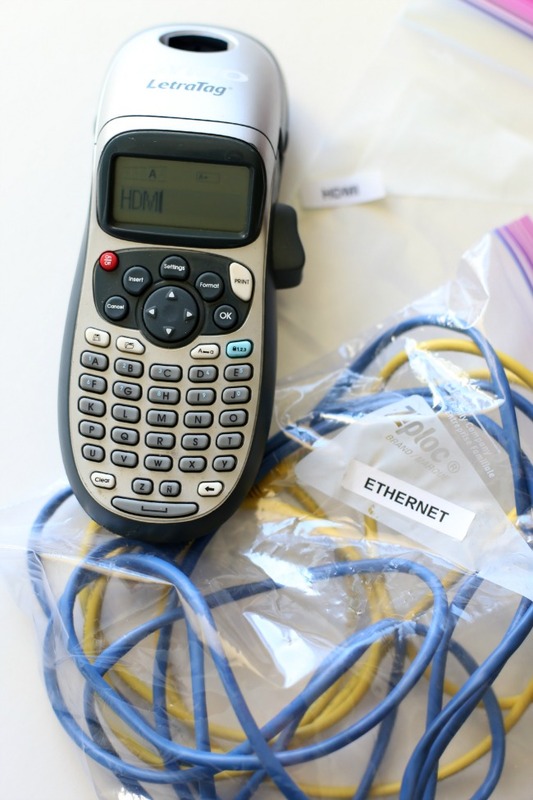 If you have a zillion gadgets and cords like we do, as you’re unhooking them from your systems, bundle them up in plastic storage bags and add a label to them so you know exactly where they go when you’re setting things up in your new place! This was an unbelievably handy system! I designated one box for each room as “essentials”. Think of the things that you’ll want access to on Day 1. Those things go in the essentials box. For example, in our kitchen essentials box I packed plastic cups, paper plates and cutlery so that no matter where we were at in the moving process, we could sit down and have something to eat with, even on those first few pizza nights. 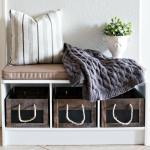 Now these are just our tips for making moving a little less painful. Now that we’re settled in our new place, I have no plans on going anywhere for quite a while! But if you’re in the market to move, be sure to check out MORE great moving tips at TrueValueProjects.com! 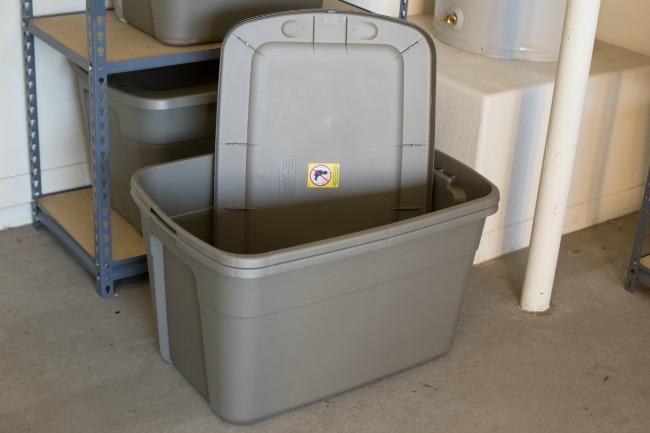 Thank you to True Value for sponsoring today’s post on Moving Tips and Tricks. All opinions and images are my own.